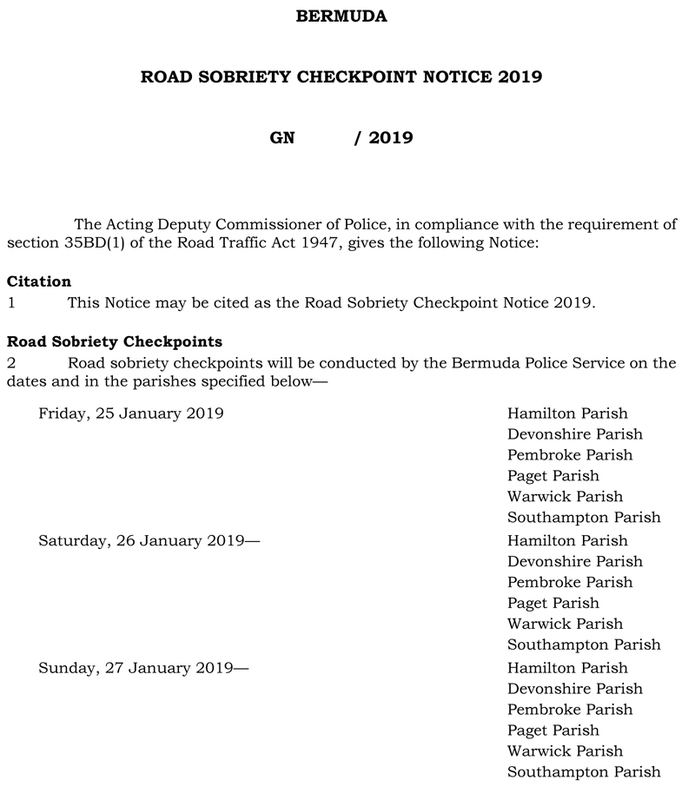 The official Government and Legal notices for today [Jan 16] include Road Sobriety Checkpoint Notice, Cancellation of Registration, Publishing Board Members, Boards Appointments, PATI Contracts valued $50,000 or more and Acting Appointments. The Minister of Health is pleased to make the following appointments with effect from 1st January 2019, under the applicable Legislation unless otherwise indicated. The Minister of Tourism and Transport is pleased to make the following appointments with effect from 1st January 2019, under the applicable Legislation unless otherwise indicated. Mr. George E. Morton Sr.
1. 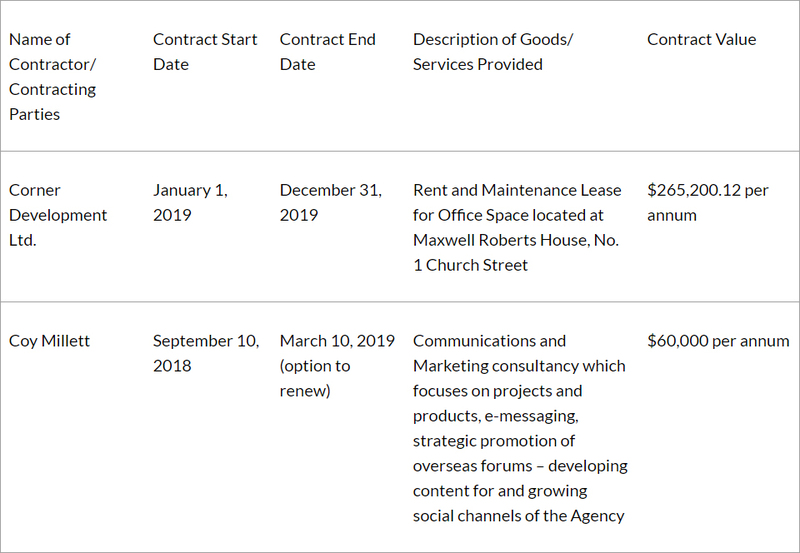 This Notice may be cited as the Public Access to Information [Information Statement- Contracts Valued $50,000 or More] Bermuda Business Development Agency Notice 2016. 1. 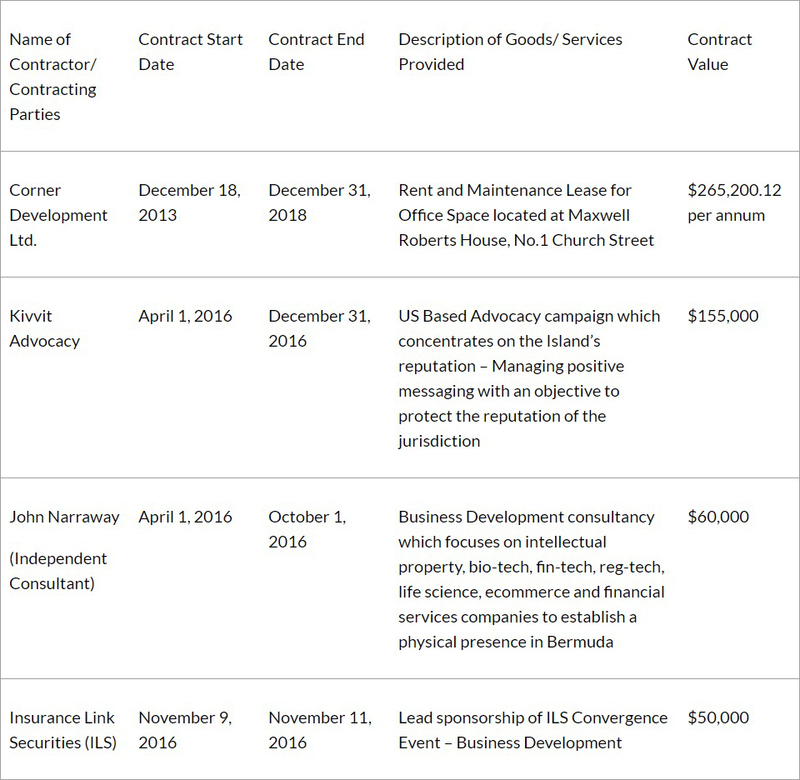 This Notice may be cited as the Public Access to Information [Information Statement- Contracts Valued $50,000 or More] Bermuda Business Development Agency Notice 2018. His Excellency The Governor, after consultation with the Chief Justice, has approved the appointment of Mrs. Simone Smith Bean, Barrister & Attorney to act as Magistrate & Coroner for the period 21st to 24th January 2019. His Excellency, The Governor, after consultation with the Chief Justice, has approved the appointment of Mr. Michael Taylor, Barrister & Attorney, to act as Registrar for the period 11th – 15th February 2019.